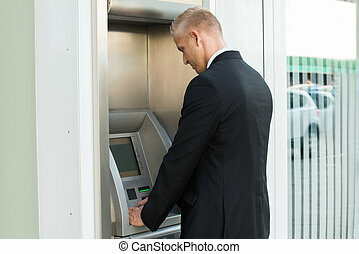 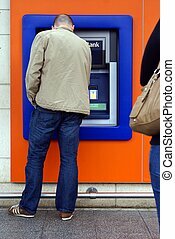 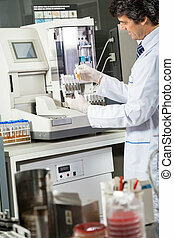 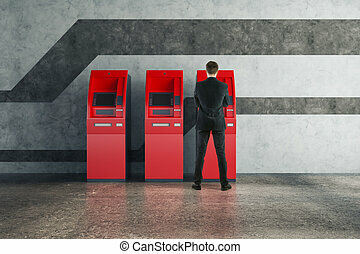 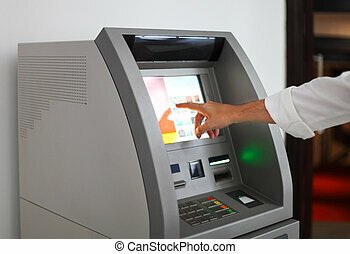 Man using banking machine. 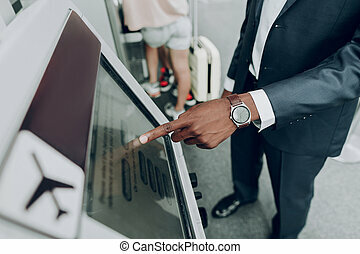 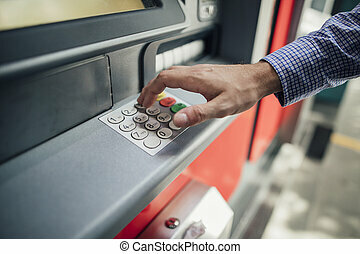 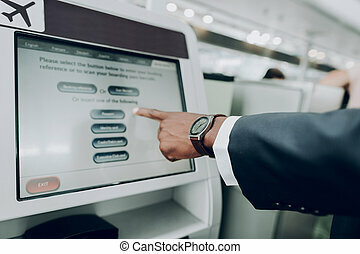 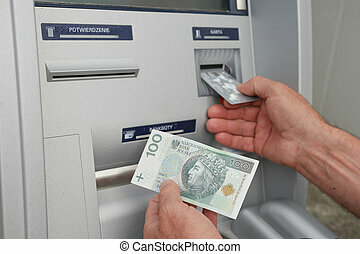 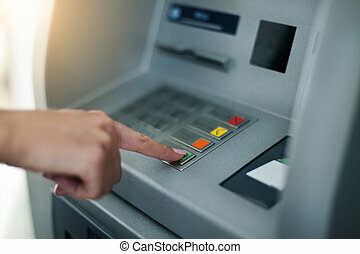 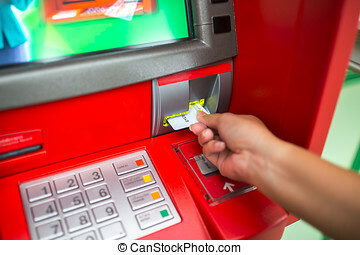 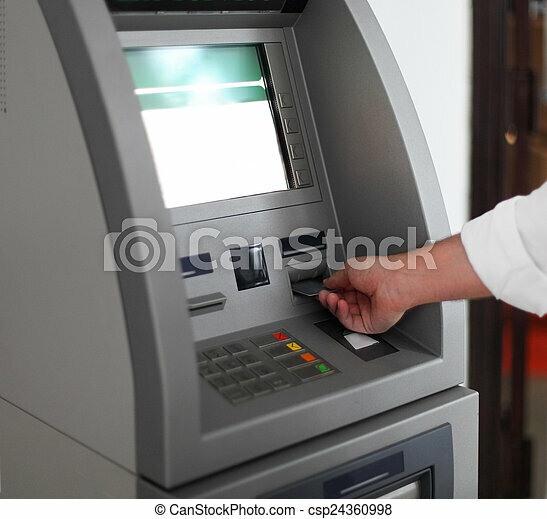 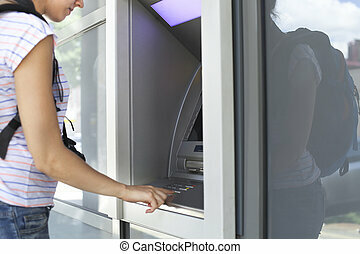 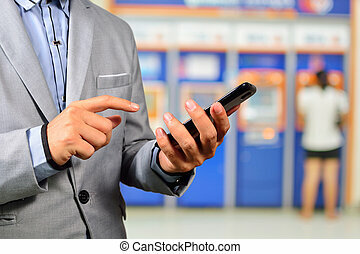 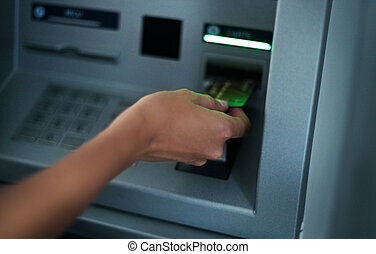 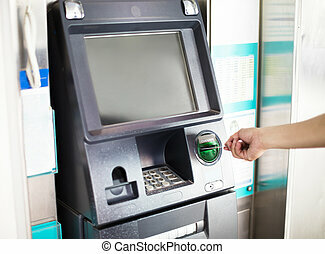 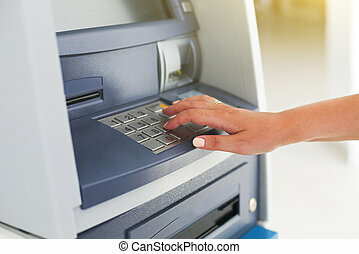 Close up of hand of a man using banking machine. 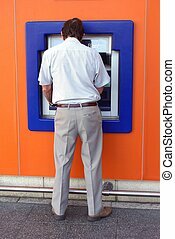 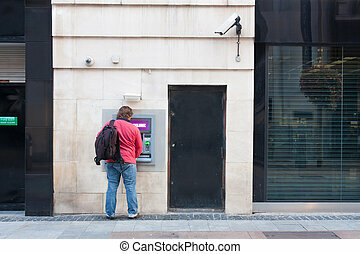 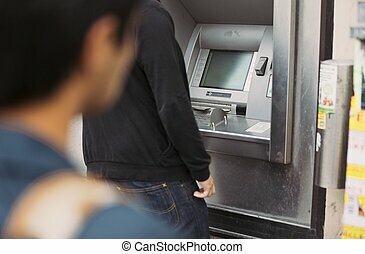 Man using atm machine with his credit card. 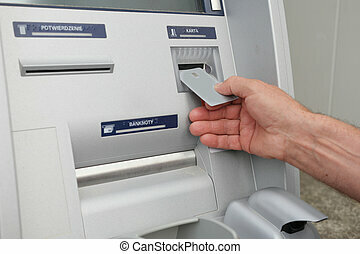 Close up shot of a businessman's hand pressing keys on a cash machine to get money out.